Happy Labor Day Weekend! 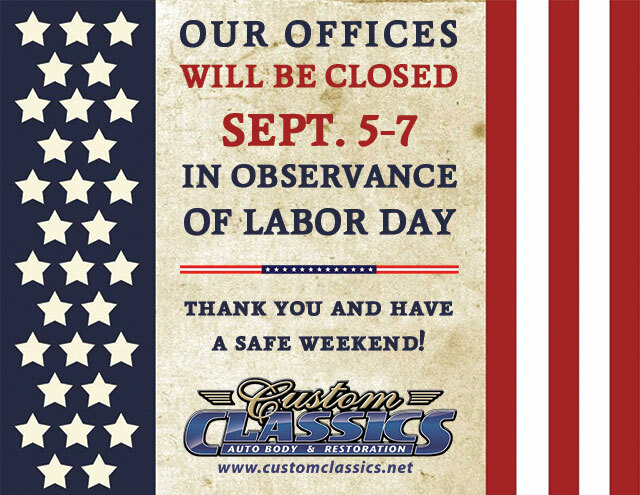 We will be closed September 5-7th in observance of Labor Day. We will resume regular business hours on Tuesday, September 8th. Gas is cheap, get out there and drive your classic car!!!! “With stock markets hitting some major bumps recently, cheap gasoline should provide Americans a far smoother ride this Labor Day weekend and the likely prospect of $2 pump prices by Christmas.